One of the more interesting nuggets from the trip was Drew Estate CEO Steve Saka telling me that if production capacity allowed, he has as many as a dozen blends he thinks are market-ready. Here, I will look at some potential upcoming blends from Drew Estate. First, one important note: I’ve only smoked one sample of each of these cigars (some in Nicaragua and some upon my return) and they may or may not be the final blend; so what follows are (obviously) not reviews, or even Quick Smokes. This is the “Beef Jerky” cigar (or at least a variation of it) that Saka first told me about at the 2010 IPCPR Trade Show. While you won’t see it in Drew Estate’s marketing copy—almost certainly for trademark reasons—I expect this cigar to be known by most smokers as simply “Uzi KFC” or just “KFC,” which certainly has a familiar ring to it. The blend, which I’m led to believe is pretty much finalized since it has been officially announced for the 2013 Trade Sshow, uses up to three different fire-cured tobaccos, including one as a cap for the wrapper that imparts flavor directly on the mouth. The fire-cured tobaccos definitely have a smokey, mesquite aroma and flavor, but those flavors weren’t as dominant as I thought they might be. It’s definitely different, but I for one look forward to trying more. This cigar uses a unique strand of tobacco that grows wild in Nicaragua that comes from a different variation of the tobacco species than is normally used in cigars. It was described as having rough characteristics and that certainly is true from the sample I smoked. I would describe it as gritty, rustic, slightly vegetable, and even a bit grating. Those characteristics come on a bit strong at first, especially for smokers who value balance in their cigars, but it does seem to mellow slightly as the cigar continues (though perhaps just because you become accustomed to it). I find this to be an even more unique cigar than the KFC and more likely to be either loved or hated by each particular smoker. Possibly for release later this year, this is the maduro project that is a derivation of the original Ecuador Habano-wrapped Herrera Estelí. Dubbed “WH Project M” on the test bands, it sure seems like a finished product to me. It features medium- to full-bodied flavors and adds earth and dry chocolate to the basic profile of the original Herrera Estelí. Whether it’s just the Estelí Herrera with a different wrapper or a more extensively tweaked blend, I’m not sure. (I’d certainly believe the former, but knowing Drew Estate’s attention to detail the latter seems more likely.) Like Willy Herrera’s projects before and at Drew Estate, it maintains the Cuban-esque style he is known for. This is my favorite of the the blends listed here. This is another blend created primarily by Willy Herrera. 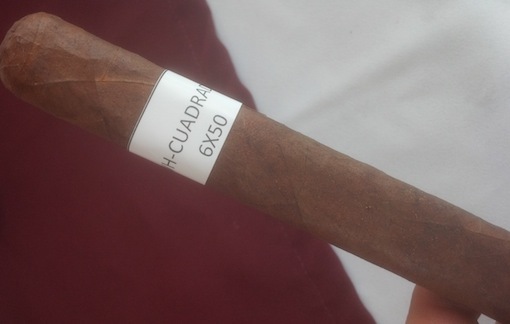 It would be his first box-pressed cigar, hence “Cuadrado,” which translates to square. Herrera told me he’s always wanted to create a box-pressed smoke. The cigar starts very full-bodied before rounding out slightly, though it’s certainly more full-bodied than his other blends while keeping in the Cuban style. Great information. 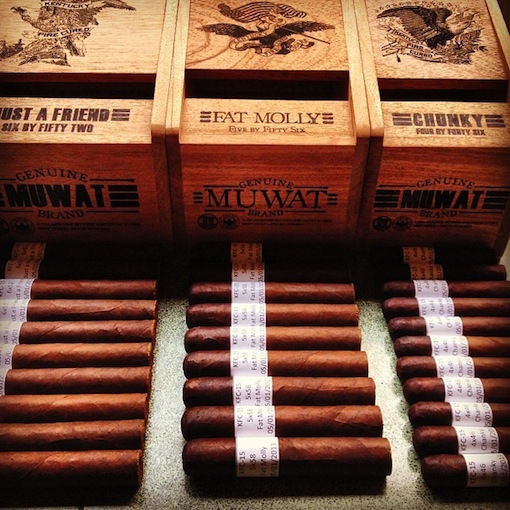 Looking forward to whichever of these cigars I can get my hands on upon release. Sounds like Drew Estate has a case of Rocky Patel Disease. Don't assume these will all be released at the show (it ever). Their factory is making 90K cigars a day and selling all of them without introducing any new blends. Just because Saka says he has plenty of blends that are ready doesn't mean they will actually put them on the market. Only KFC has been verified as a new cigar they will be releasing and that is made at Joya de Nicaragua's factory. Backlog at the factory may keep some or all of these from seeing your store's shelves anytime soon.